Charlotte is pleased to announce the appointment of Jessica Glendinning to the new position of Claims Analyst, AP & AR for Charlotte Products. Jessica has an accounting/administration background and will make an excellent asset to the Charlotte team. Please help us in welcoming Jessica to the team! Full Service Bilingual Team ready to work with you! 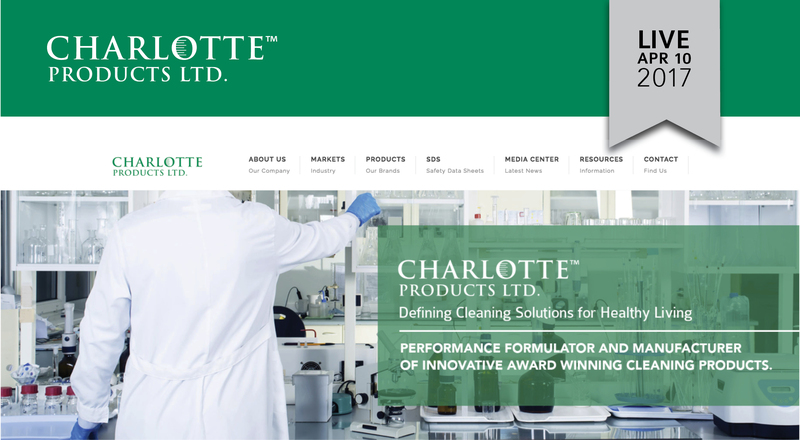 Since 1986, Charlotte Products Ltd™ a leading performance formulator and manufacturer has been helping people everywhere live healthier and safer lives. Our dedicated and professional bilingual Customer Service Team is ready to support you Monday- Friday 8am-5pm EST. Charlotte is pleased to announce the appointment of James Gambee to the new position of Sales Representative for Charlotte Products. James will be responsible for developing sales and training in the Maine, Upstate New York, Vermont, Connecticut and New Hampshire markets working with Swish White River’s sales team. James has 24+ years of experience and knowledge in the cleaning products industry. Please help us in welcoming James to the team! The Enviro-Solutions® Terrazzo and Concrete Floor Care Program by Charlotte Products Ltd.™ has been named the winner of the 2018 ISSA Innovation Awards in the Cleaning Agents Category. Competing with eight other unique equipment products, the Enviro-Solutions® Terrazzo and Concrete Floor Care Program was selected as the leading innovative product by cleaning-industry distributors, wholesalers, building service contractors and in-house service professionals. Charlotte is pleased to announce the appointment of Deborah Bryan to the position of Regional Manager and reporting to Paul Wildenberg, Vice President, International Sales & Marketing. In this role, Deborah will be responsible for Charlotte Product sales in the South East and South West portion of the United States. “Throughout her career Deborah has developed an extensive knowledge of the Jan/San industry and has cultivated strong relationships with many of the larger customers within our market,” says Wildenberg. Please help us in welcoming Deborah to the team! Enviro-Solutions Terrazzo/Concrete Floor Care Program WON both a 2018 School Planning & Management and a 2018 College Planning & Management New Product Award! Charlotte Products Enviro-Solutions® Terrazzo and Concrete Floor Care Program won School Planning & Management and College Planning & Management magazines 2018 New Product Awards under the Cleaning Equipment & Supplies category! The New Product Award program honors the outstanding product development achievements of manufacturers and suppliers whose products or services are considered to be particularly noteworthy in their ability to enhance the learning environment. The program will also be featured in the November/December issue of each magazine. As part of our new initiative called Charlotte Cares, employees are headed out in the community to make a difference! This initiative is aligned with our company’s mission to create safe and healthy spaces for people every where. The Charlotte Cares program will be ongoing. Employees will participate in volunteer activities in the various communities the company is located. Visit our Charlotte Cares webpage or locate us on social media to find out more! Ontario, Canada – August 27, 2018 - Charlotte Products Ltd™, a leading North American manufacturer of green certified and sustainable cleaning products announces they will partner with JNP Enterprises Ltd , manufacturer's agent serving Quebec and Eastern Canada including New Brunswick, Nova Scotia, Prince Edward Island and Newfoundland. VOTING IS NOW OPEN FOR ISSA INNOVATION AWARD! We are extremely pleased to announce that Rick Laws will be joining our Charlotte Products Team as a Regional Sales Manager for Eastern Ontario reporting to Jim Flieler. Rick brings extensive knowledge of the food service industry and exceptional sales experience and success with two of the largest and most respected food service distributors in Eastern Ontario. Please join us in welcoming Rick to our Charlotte Products team supporting our focus on industry insights, innovative products, programs and our experienced knowledge transfer. The Charlotte Team Does a Habitat Build Day! The Charlotte Products Team recognizes the importance of supporting volunteerism and community-based action and to show our support we participated in a Habitat for Humanity Build Day on Saturday, July 22! The Charlotte Products Team members were so pleased to assist in a day of hard work which included building 3 walls while team building in support of a local family realizing their dream of having their own safe and affordable home at the end of this build season. We hope to support this program again in the near future. Our goal with this new website is to provide our visitors a comprehensive and easy to use resource that details our capabilities at Charlotte Products Ltd. and highlights all the features and benefits of our brands in a simplified design. We hope you enjoy the new website with our fresh new look, easy to access information and encourage you to visit regularly and share helpful resources with your team. Charlotte Products Ltd is pleased to welcome Matt Strano to our team. Matt will assume the newly created role of CEO for Charlotte Products and will lead all aspects of Charlotte Products, based in Peterborough. As CEO, Matt will assume responsibility for directing the organizations growth while ensuring profitable operations and maintaining Charlotte Products Ltd unique culture and commitment to its clients. Matt joins us following a progressive career in sales, marketing and general management. Most recently, Matt was the General Manager for Skor Marketplace (a division of Summit Foods). Matt holds a Bachelor’s degree in Economics from Wilfred Laurier University as well as an Executive MBA from the University of Western Ontario. Please join us in welcoming Matt to the team. We are very pleased to announce the addition of Haz Cortes to our Charlotte Products Ltd. Canadian Sales Team. Haz’s background includes multiple years in the building service contractor business. She specializes in both chemical and equipment product/process expertise for most any type of facility in the Western Canadian marketplace.